A 33-year old man is set for life after the hugest stroke of luck of hitting the Grant Toto 6/63 Jackpot that won him a whopping RM33.7 million! Yes, a friggin’ RM33.7 million fell from the sky and onto his lap. The man who was from KL and works as a restaurant manager was in disbelief when he check the Toto results, only to see the exact numbers that he bought. “I could not believe that I had won and I even asked my mother to check for me. I was shaking with joy when the Lucky Pick ticket I bought hit the jackpot,” he said. Imagine that moment when he found out about it. Can you fathom the pressure of holding that small piece of paper that will exchange you millions??! He collected his winnings together with his mother at the Sports Toto headquarters last Monday, according to Sports Toto Malaysia. He recounts the day he bought his winning ticket, saying that it was just like any other the day when he went to visit his mother. “As usual, I visited my mother on Sunday. I accompanied her to the Sports Toto outlet where she buys her numbers and I wanted to try my luck,” he said. “So I bet my usual car registration numbers on Toto 4D, Toto 6D and I also bought Lucky Pick tickets each on Power Toto 6/55, Supreme Toto 6/58 and Grand Toto 6/63,” he said. 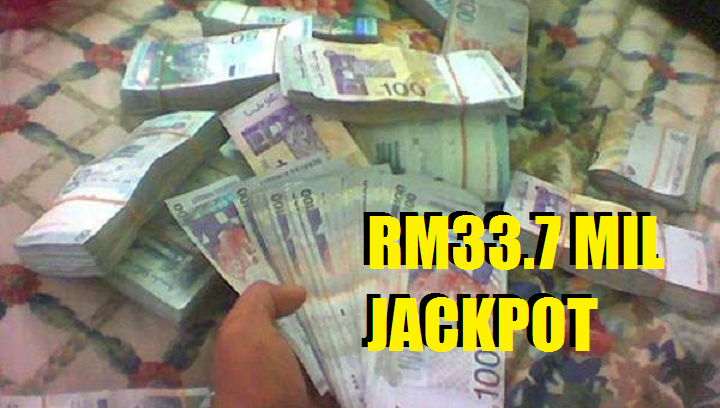 Who knew that he had some massive luck and won the jackpot that amounted to RM33,756,064.10. The numbers that has him secured for life was – 35, 45, 49, 51, 52, 53. Like anyone with tons of money would, he expressed his intentions to buy a new house and sports car with his new fortune, as well as go travelling. Besides that he will also share his winning with the family and use some of them on investments. The things we’d do to just be in his shoes right now.